What time is it? Why, it's half-past the giant space rock! 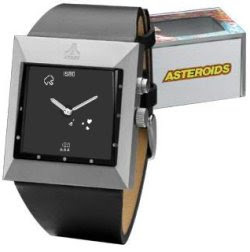 I just bought this cool Asteroids watch from Fossil on eBay for about $60. You can't play with it, but you can watch the asteroids float around when you check the time. Schweet!